Hey Hopper Fans! For a limited time I will be cross-posting posts from my new vlog – Next To Heaven – here on Hopper Video. 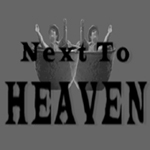 But, don’t tarry, get on over to Next To Heaven and subscribe!! This entry was posted on Tuesday, September 19th, 2006 at 10:58 pm and is filed under Uncategorized. You can follow any responses to this entry through the RSS 2.0 feed. Both comments and pings are currently closed.